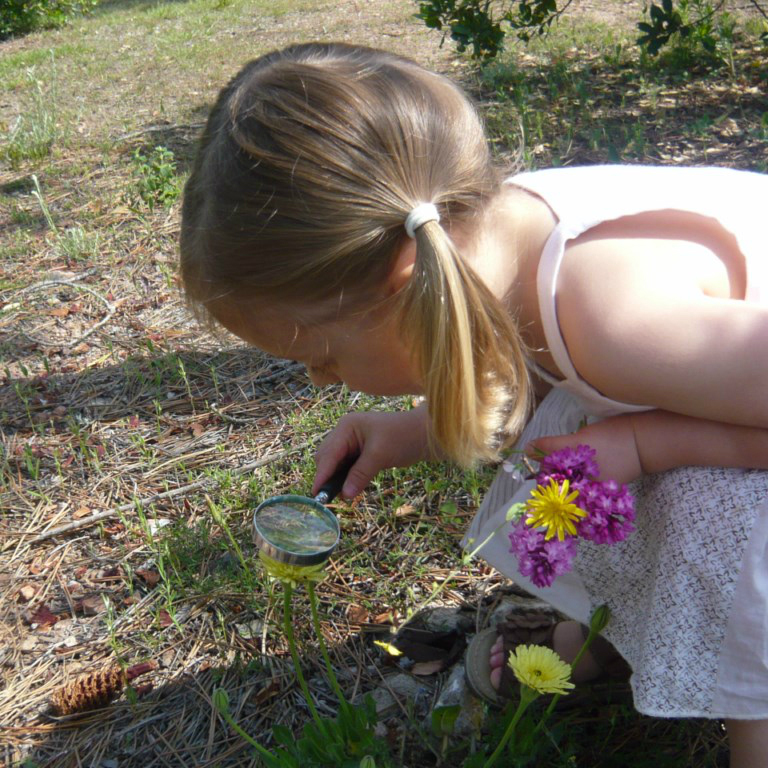 The first years of life have a lasting impact on a child because their identity is being forged. 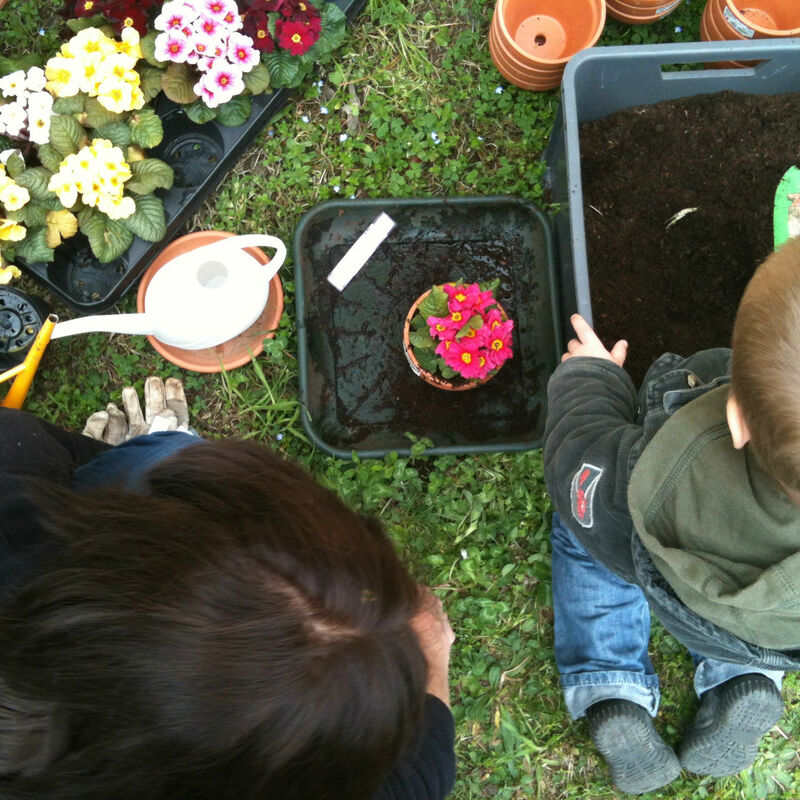 The young child therefore deserves special attention. 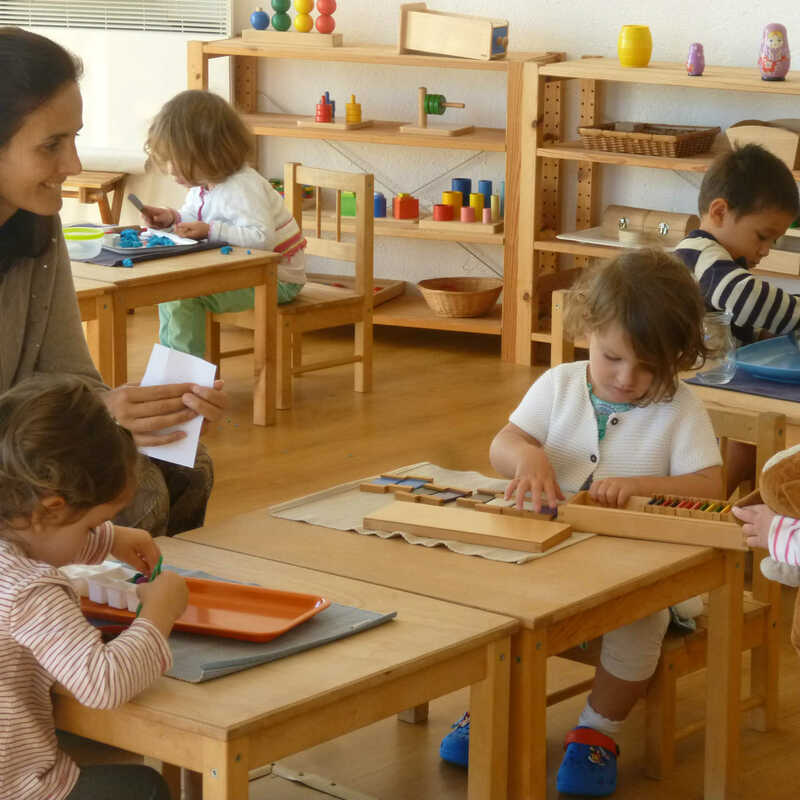 This class welcomes a dozen children from 2 to 3 years old. 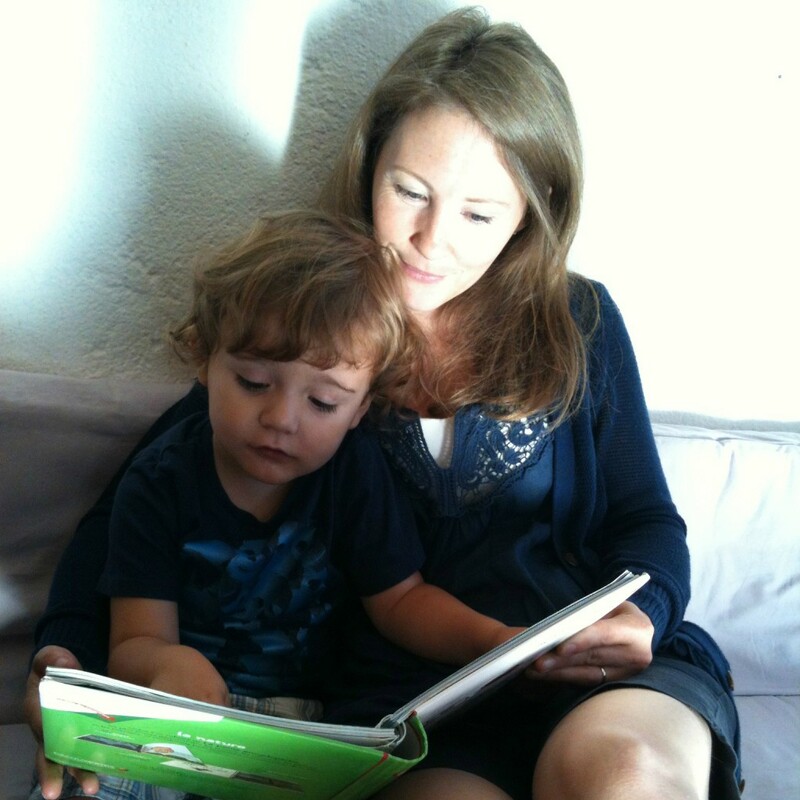 The children begin their integration with half-days, and then attend full-time once they are ready. 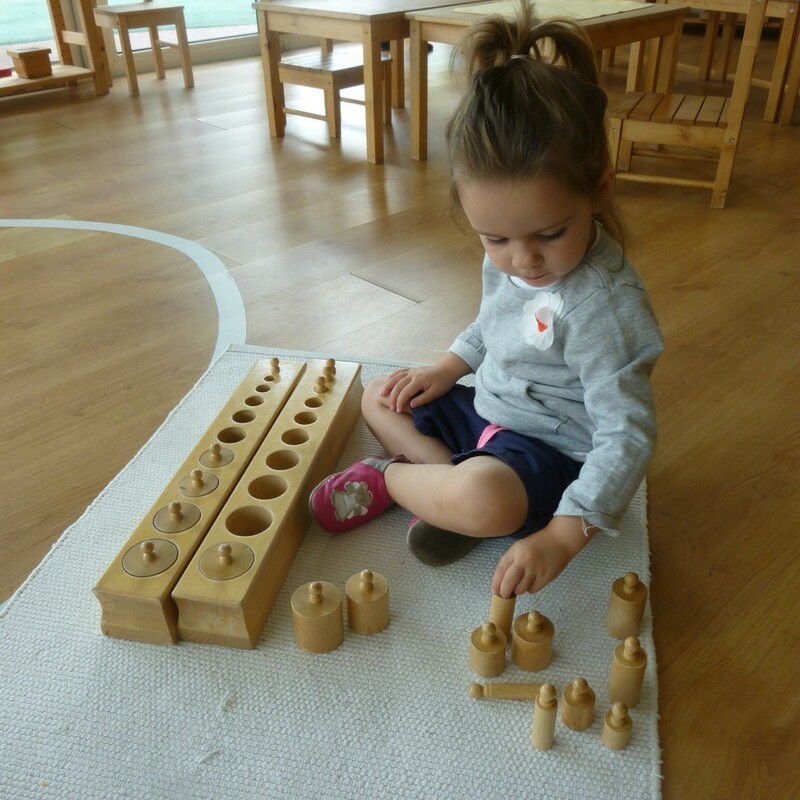 The Montessori environment is adapted to the needs of its young students: it is reassuring, organized and stimulating so the children can explore and blossom. 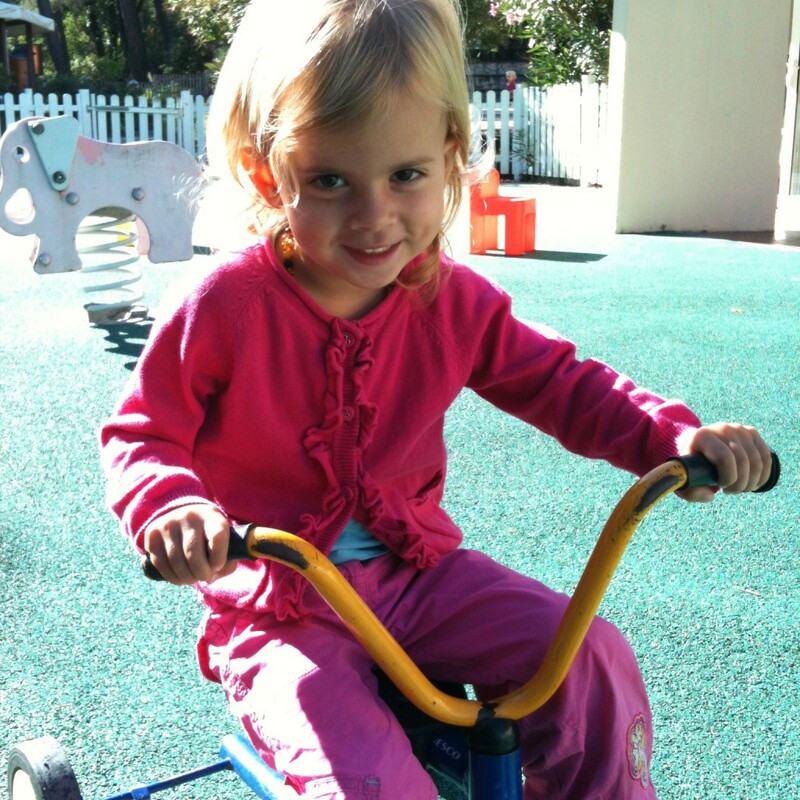 The sinks, toilets, shelves and all activities are within the children’s reach as to encourage their autonomy. 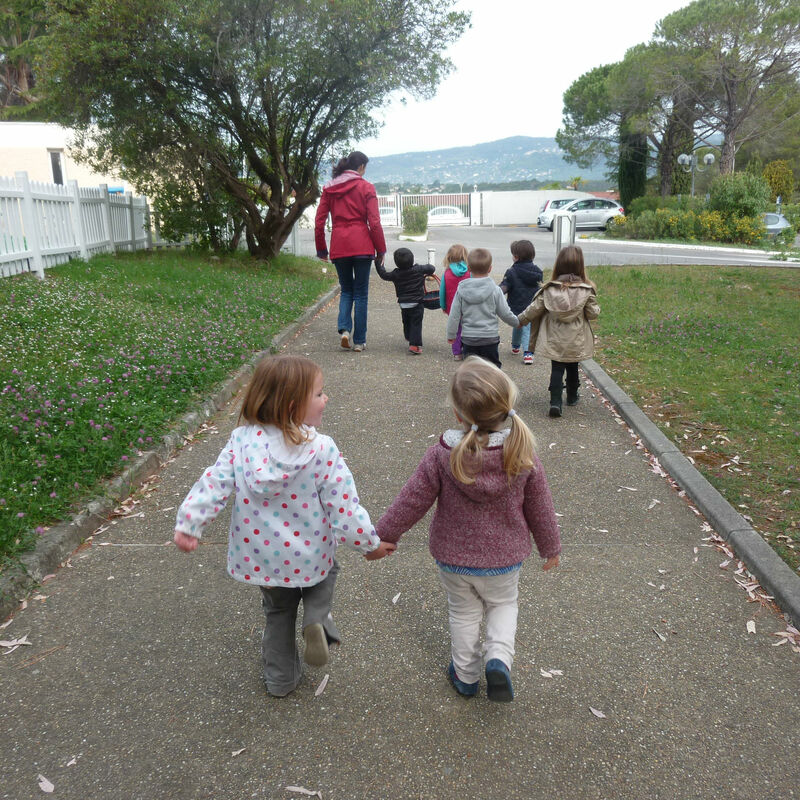 The two Montessori educators in the class (one English and one French) work to establish a loving, reassuring relationship with the children, which is of utmost importance. 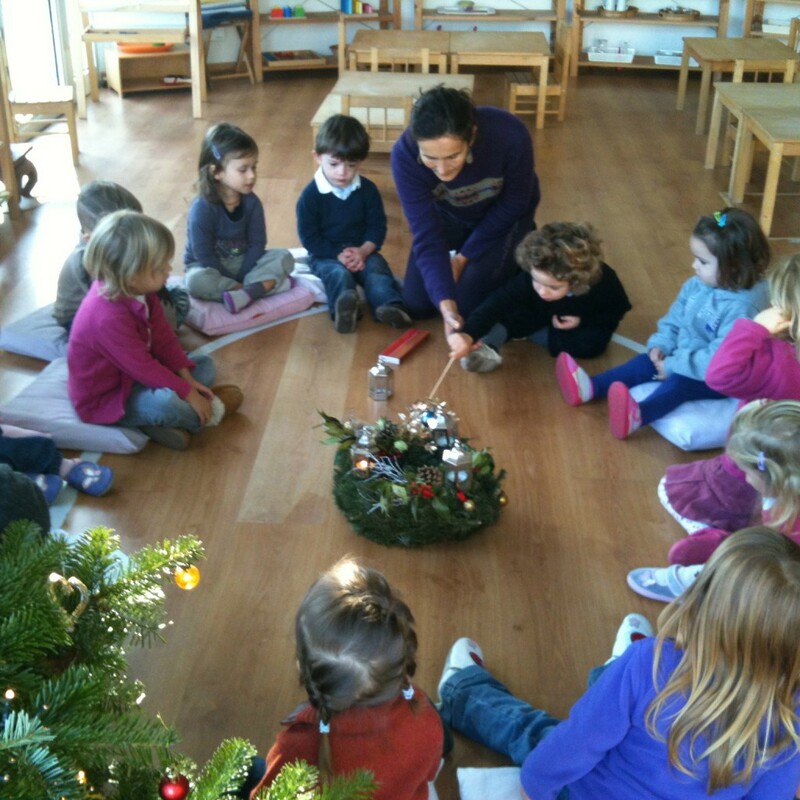 The children have free access to the sensorial material in the class. 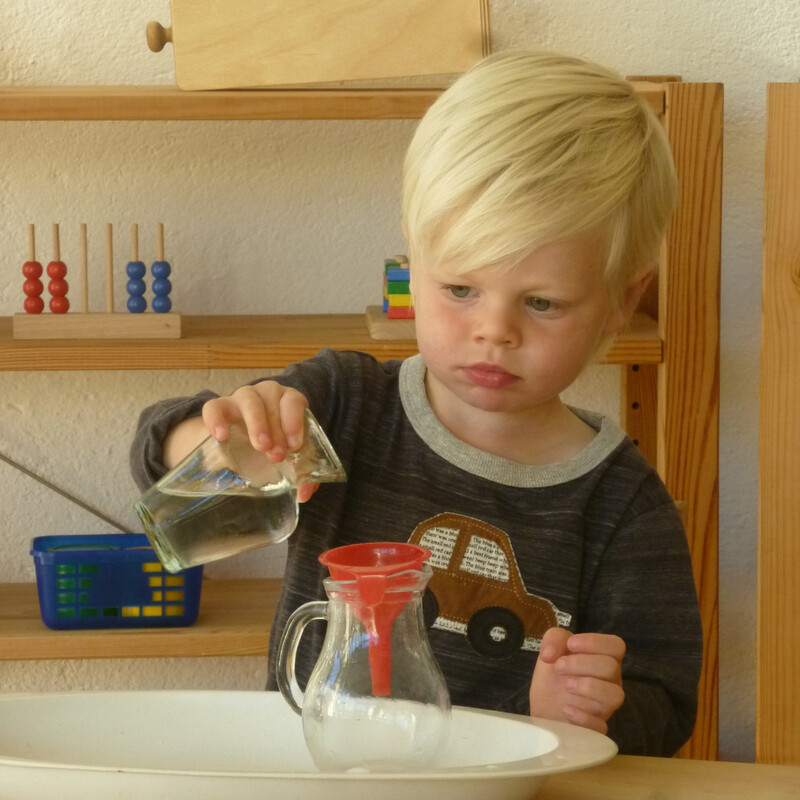 It is geared to develop their fine and gross motor skills, their coordination, language skills, etc. and to respect their own rhythm. All the activities offered in the class build the children’s self-confidence, and music and art workshops nourish their artistic expression.